Copyright is literally a way of protecting the ‘right to copy’ something that someone else has created. Copyright is an intellectual property right. It is a way of protecting the creative work – such as music, photographs or writing – from being pirated and used by someone else. Throughout the world copyright exists. National laws cover different countries. Always check before using copyright material. Whenever you use music in a production from a CD, or when you copy music onto any format, tape, your computer or MP3, you are involved in copyright issues. 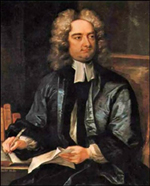 The English writer Jonathan Swift, who wrote Gulliver’s Travels, got the first Copyright Act passed in 1709 with published books protected for 21 years. In the UK copyright law is enshrined in the 1988 Copyright, Designs & Patents Act. The aim of this act is to protect creative work from unfair exploitation. Can an idea be copyrighted? Ideas cannot be copyrighted, but the expression of an idea in a tangible form can be copyrighted. This includes your own creative work. Copyright protects you from the piracy and copying of your original work. It could be a script, a film, a play or a TV programme format, or an original musical work such as a pop song. This is a fiendishly complicated area and only specialist lawyers can fully understand copyright law. Creating a media project you need to be aware of what material is likely to be covered by copyright, so that you do not unwittingly broadcast or copy this material. Can we use Copyrighted material in School or College? Performing, playing or showing work in course of activities of educational establishment.